Henri-Gustave Joly de Lotbiniere inherited the estate in 1860. He was a pioneer of forestry and established a tree collection. His grandson inherited the estate and developed the gardens after 1908. Their style is partly English and partly French. The Maple House and the garden have been in public ownership since 1984 and were carefully restored with the help of an old gardener who had worked for the family. Take few hours, in family or between friends, to come celebrate with us the 25th public opening anniversary of the Domaine Joly-De Lotbinière. Heaven of discovery for history, nature, horticulture and hiking enthusiasts, this immense park-garden is an inescapable attraction to visit during you summer’s release. 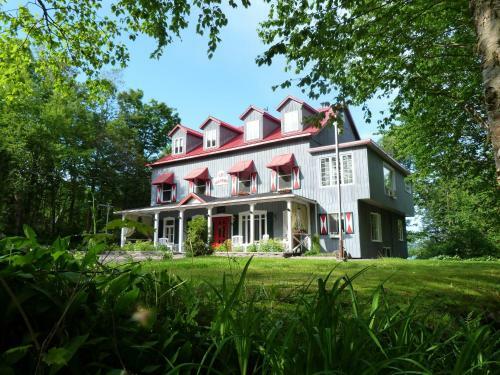 Located at only 40 minutes west of Québec City, on the South shore, this exceptional natural site recognized as one of the loveliest gardens in North America, propose you a rich programming of educational and cultural activities. 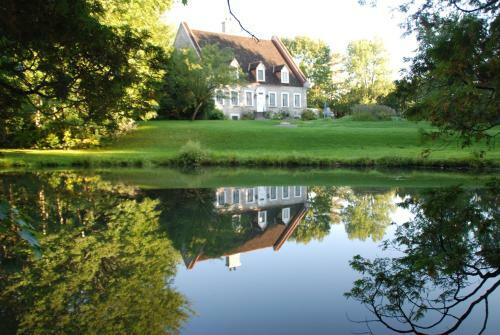 Enjoy the restored Manor with its exhibitions and ancient furniture, the magnificent gardens containing over 2 200 varieties of plants, the privileged access to the St-Lawrence River and the paths in the extraordinary old forest. This summer, let yourself be charmed by the pastoral atmosphere of this exceptional natural site and take part in our passion story that has binded us so closely to this seignorial domain for 25 years already. 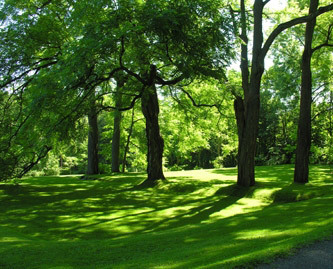 In the middle of the 19th century, a new trend in landscaping influenced the wealthy proprietors living in the city of Québec. Multiplying its contacts with nature, the new trend may be called romantic, rural or picturesque. The squires of Lotbinière did not escape the effects of this movement, which reached Pointe-Platon. In fact, it was here that Pierre-Gustave Joly, husband of her ladyship Julie Christine Chartier de Lotbinière, decided to build a family summer residence and to plan an immense romantic garden. During several years, Pierre-Gustave and his son Henri-Gustave, were occupied in planting both exotic and native trees, in building summer houses, reading pavilions and park benches, so that members of the family and their guests could profit from the beauty and the richness of the site. 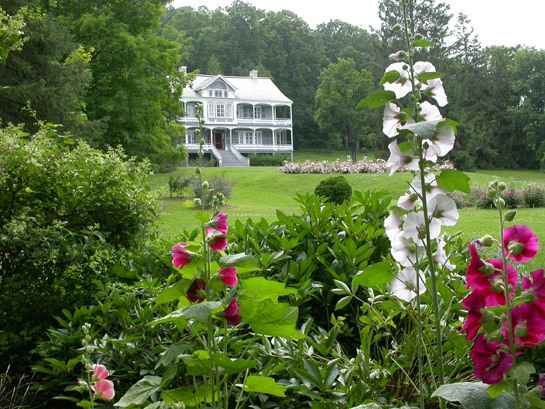 Even today, walking through the estate, visitors discover the romantic environment of the 19th century. Opening times Early May to early October. Daily.